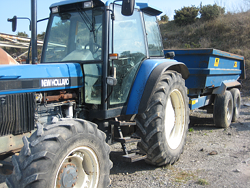 At the end of the Tractor safety awareness training course participants should be able to safely use a Tractor. Please note that machinery for all courses is provided by the customer. The Tractor safety training course is of half a day duration based on a group of 6 persons. Reversing and the use of visual aids.